Chemical Management Navigator is designed to do two main things. 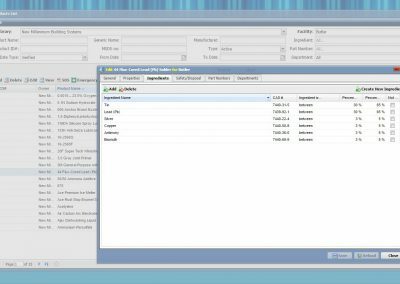 It offers all the functionality of SDS Explorer for managing and distributing Safety Data Sheets to your employees. It also allows the environmental manager access to tools for EPA reporting. Since 2002, our clients have relied on Chemical Management Navigator to assist them with SARA Tier II reporting such as SARA 312, Form R and more. It is designed to be as streamlined or as in depth as you need. For example, one company may need to simply look up chemicals by location or ingredient name / CAS Number. However, another company may use it to input purchases and usages of chemicals and design a customized export of data according to their air permit to track HAP’s and VOC’s. Our customers that have air permits love using it for SARA 313 Form R reporting every July. Rather than spend 2-4 weeks every June preparing the 313 submission by reviewing purchasing and usage records, searching through every safety data sheet to see ingredients and percentages and finally building a giant Excel sheet with lots of calculations, they simply enter some data into Chemical Management Navigator and export the spreadsheet. Our Canadian customers use Chemical Management Navigator to run reports against the NPRI list to identify reportable chemicals. Our U.S. customers can quickly export a spreadsheet identifying chemicals that may be required to report to the Department of Homeland Security as a “chemical of interest” to determine if they need to run a top screen questionnaire under CFATS regulations. Centralize all Safety Data Sheets in one place for easy employee access. 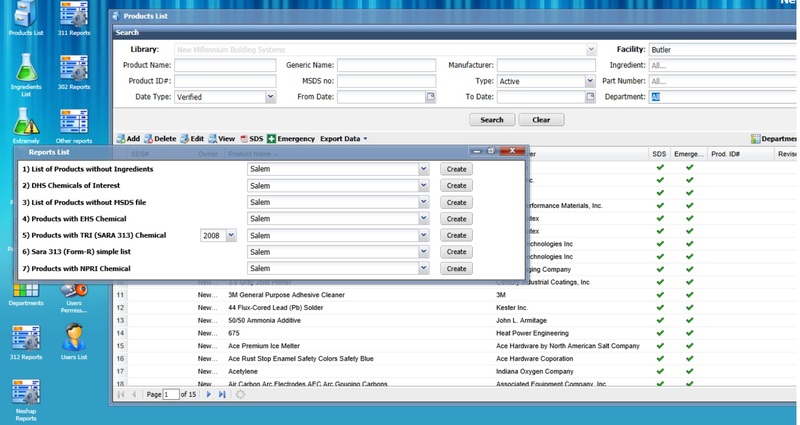 Add, edit, delete or save Safety Data sheets in your archive yourself, or outsource this to M3V. Provide detailed HAPs and VOC usage and emissions reporting data customized to your specific air permit. For example 3–6 month rolling averages, total usage, etc. Quickly identify all chemicals that may be reportable under NPRI. There are no restrictions on the number of safety data sheets in your library or on how many users or administrators you need or on the amount of data input into the software. 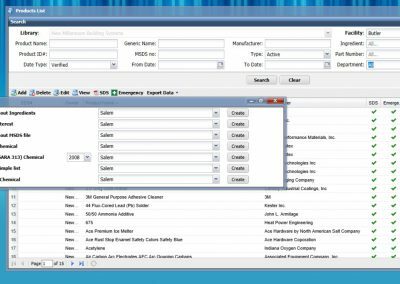 Look up a Safety Data Sheet by product name, manufacturer name, generic or trade name, facility, department, ingredient name, CAS number and more. Provide detailed ingredient, department and chemical usage in pounds to greatly assist with SARA 313 Form R.
Quickly recognize Department of Homeland Security chemicals of interest (CFATS) chemicals. Quickly identify and product that contains EPA designated “Extremely Hazardous Substances”. Although Chemical Management Navigator may be as streamlined or as in depth as you need, it is offered at a fraction of the cost compared to other vendors. OSHA / EPA compliance is serious business, but it doesn’t need to be complicated or expensive. Get started. To schedule a live demonstration, start a 30 day free trial, receive a formal cost/scope of work proposal or to simply find out more please call or e-mail us. We look forward to exceeding your expectations! Email info@m3vsoftware.com or call 866-388-4815.